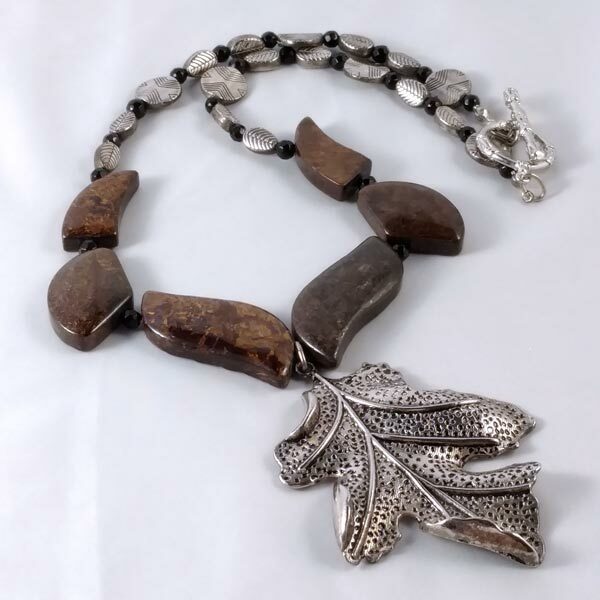 Matching, highly polished, Bronzite center piece beads, faceted Black Onyx accents, fine pewter disks and leaves (no nickel or lead) with Tibetan Silver leaf creative a real statement necklace. 17" length with 3" drop. 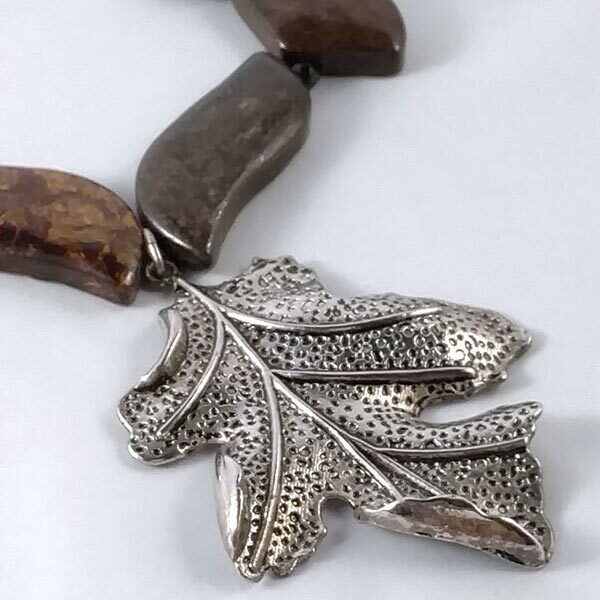 Fine pewter toggle clasp.